Specifically the green one. Doesn’t it look cute in the picture? Well, I wore it today. And it just looks like I have a huge slit up my skirt. It’s a PLEAT, I SWEAR! And so are the shoes. It was drizzly! I didn’t want to get my cute shoes wet! 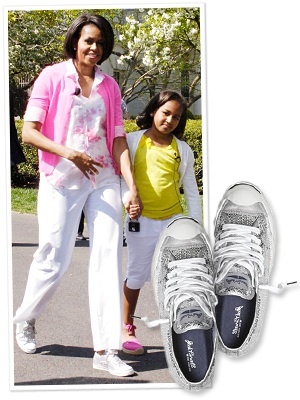 Anyways, Michelle Obama has those shoes, so it’s okay. 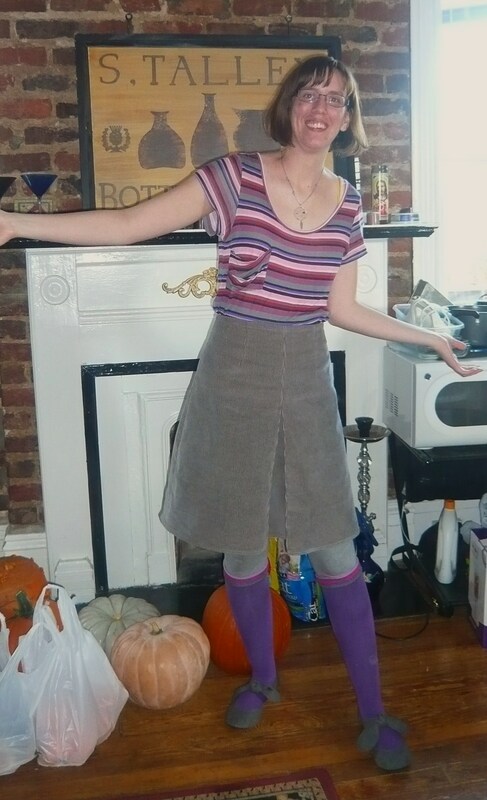 Actually, I got multiple compliments on those socks and shoes. Well, all from the same person, but still. So, then I went over to Rose’s house. I changed the socks. Purple socks look better. And, my adorable mouse shoes, their debut! Ah!! What was I thinking? And then I went on a blind date. I brought Rose along, because I didn’t really want to go. I wore this. The guy was doggedly boring. I took off the socks, thank humanity. Skirt: Sewn by my ownself. Mmm…fall. 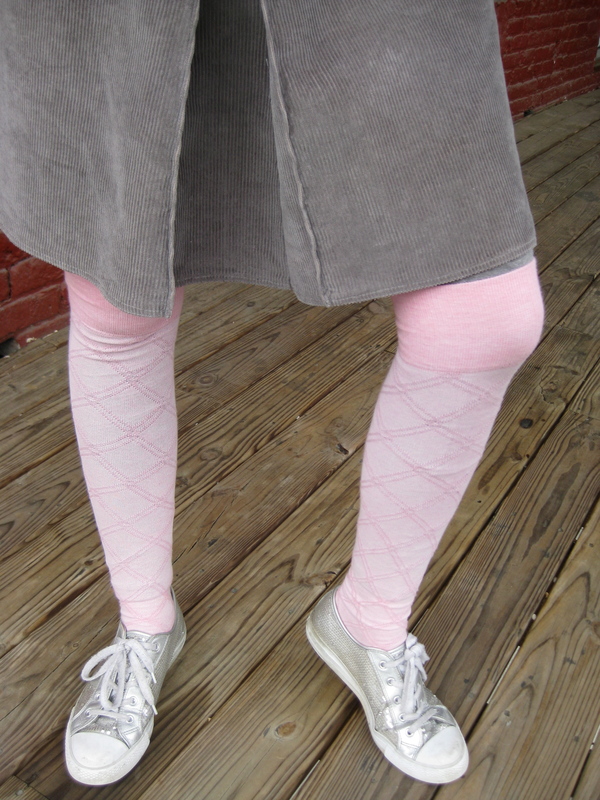 Time for tights. And boots. And…ludicrous puffy white skirts with things sewn onto them? Please excuse the particularly goofy face and the quite-visible bed. I was taking these in a hurry before class. 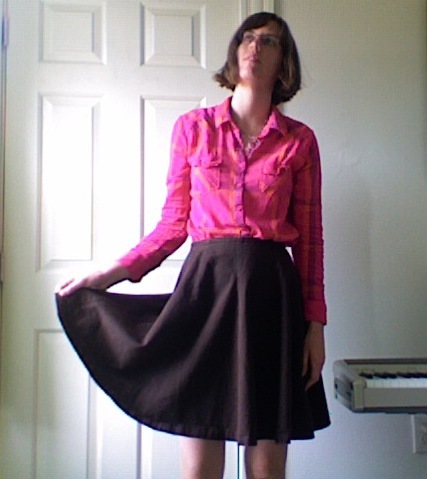 Skirt: Sewed it my ownself, from some rags of cheesecloth-y material. My friend Grace added some random buttons and cloth flowers for effect. This song seems very fall to me. And by that I mean autumn, the time of year where it starts to seem like a really good idea to set things on fire and dress in dingy colors and smash guitars. It rained! Not on me though, I missed it. It was cool out. I wore long sleeves. 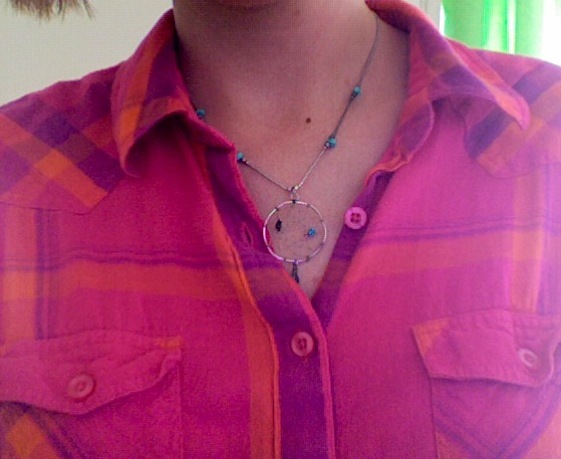 And this necklace, which doesn’t match all that great. I couldn’t find the one I wanted to wear. 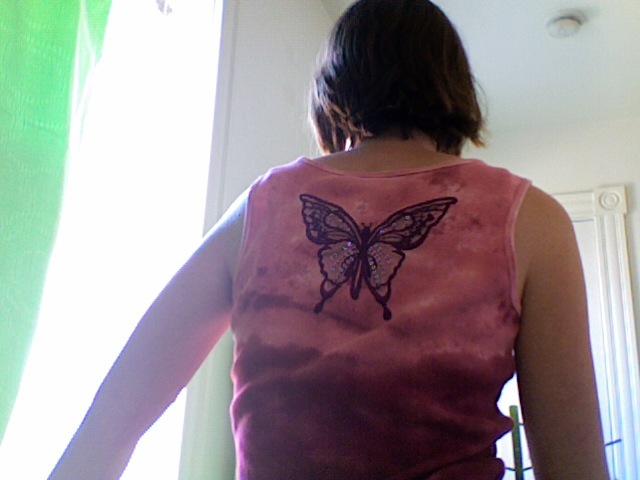 Then I was gonna wear another one, and changed my mind, then changed my mind again and couldn’t find the original one even though I had just put it down. But really? I’m wearing a tank top and shorts, like everyone else on campus…. So! 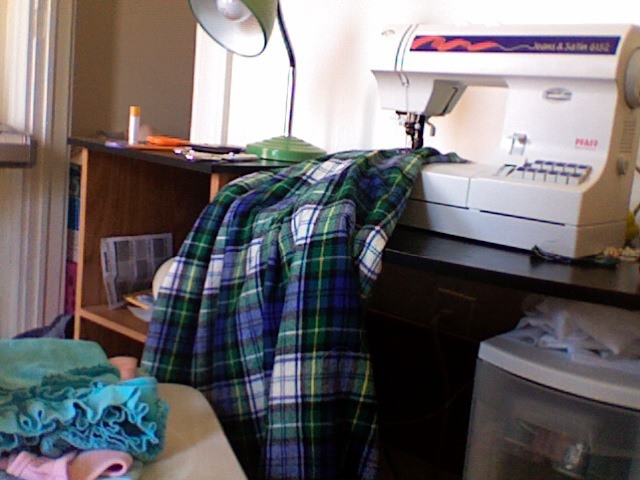 I am using my post today to show you my awesome plaid-skirt-in-progress! Really, really in progress. 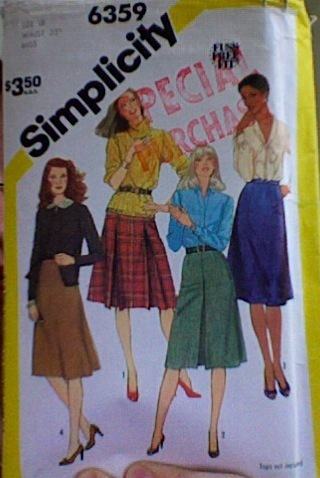 I’m not sure what, but SOMEthing was so compelling that I had to get up and leave this skirt right in the middle of a seam. I think I had looked out the window and decided I needed to have an impromptu picnic. Yes, I think that was it.